Many citizens wrongly assume if they blow “above-the-limit” on the breath test they are as good as convicted of DWI. That is not necessarily the case. 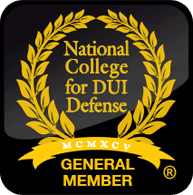 Our team investigates all possibilities in defending your Bryan DWI including the circumstances under which breath test results can be challenged. We help determine if you were legally stopped, whether standardized coordination tests were administered properly, and whether any breath or blood test can be used as evidence against you in court. I have written extensively about attacking the Intoxilyzer 5000 machine used to obtain breath alcohol concentrations from persons arrested for DWI in Bryan, Texas. I’m an experienced criminal defense attorney and prepared to fight against all chemical tests used to incriminate you. The DWI blood test case is becoming the stock-in-trade of Bryan, Texas law enforcement agencies. Whether it’s a sample provided voluntarily after arrest, or obtained via search warrant following a refusal, defending blood tests are now commonplace for the Bryan DWI defense attorney. Making preparation more demanding is the technical nature of these cases. In fact, DWI blood tests may be on the list of most dreaded cases to defend. Nevertheless, prosecutors are relying on the blood tests which compels Bryan defense lawyers to effectively defend them. Despite their complexity, blood test cases can be divided into easily digestible areas of inquiry. The most vulnerable component of every DWI blood test case is the blood draw. Consequently, the effective defense attorney must be well-schooled in the medical field of phlebotomy.